Would you like to learn how to dance Baroque dances with teachers who are the best dancers of this style? And together with them to execute a few pa in the Mirror Gallery? Do you dream of enjoy chamber music in a Baroque salon and feel the religious thrill of the Royal Chapel? You will also learn how to play old billiards or backgammon in the Baroque era and visit the Salon de Hercules, where the guests dance the minuet? «Holidays of Love» are waiting for you! 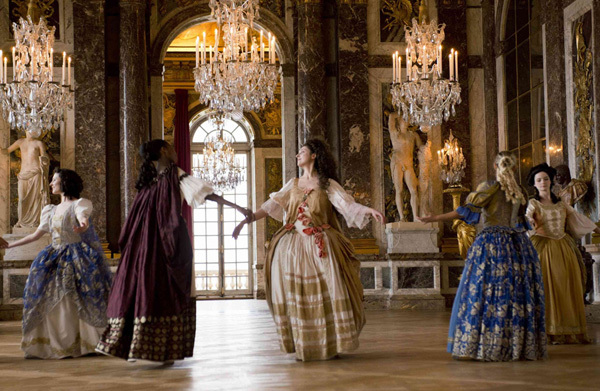 The doors of the most beautiful hall of Versailles Palace will open for this exclusive party, which will combine the holiday and entertainment, as in the time of the brilliant Sun King. The connoisseurs of the palace in the costumes of the Great Age will take you to the private apartments of king, his wives and Madame du Barry and will tell you many interesting histories. The party will finish with fireworks, a view that can be enjoyed from the Mirror Gallery immediately after the ball closing. If you have any questions or interest to purchase a trip, you can always contact us!